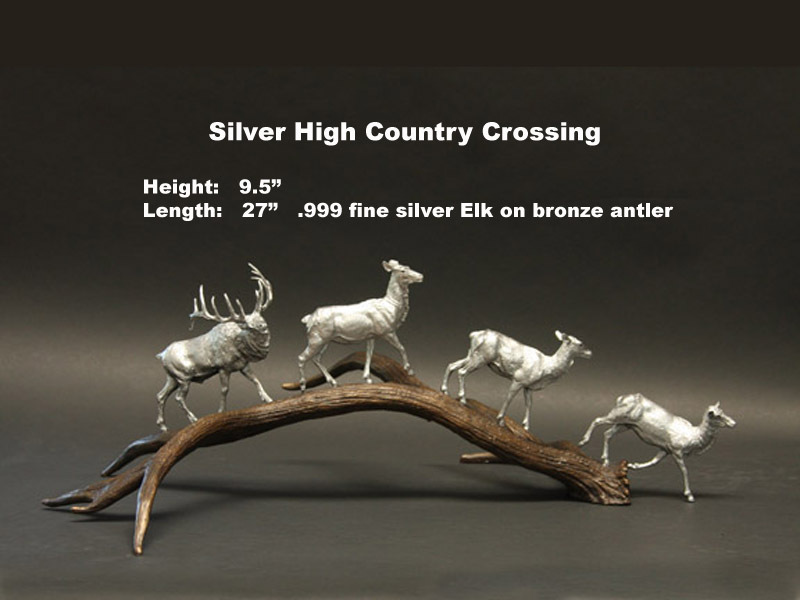 The migrations of the elk herd through central Colorado inspired this design, with the elk on the dropped antler. This sculpture was originally created as an entrance for a ranch in Snowmass, Colorado that lies in the path of a large elk migration area. 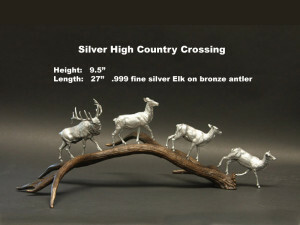 The pure silver elk are crossing over the bronze antler.